Evening all. I picked up a pipe that I am quite pleased with but can't find out anything about the manufacture. Hoping for some help. It has a very light stamping of Custom(JPS)Made on one side then Algerian Briar and a star on the other. All I could find was a brand of pipe tobacco labeled JPS. Thanks for the help. Perhaps an old house pipe made for Jon's Pipe Shop in Missouri. There used to be a brand of cigarettes here in the UK called JPS which was John Player Special. A bit of a long shot but there could possibly be a connection. Jon's Pipe Shop in MIssouri sounds like a legitimate candidate. House pipes are so hard to track. 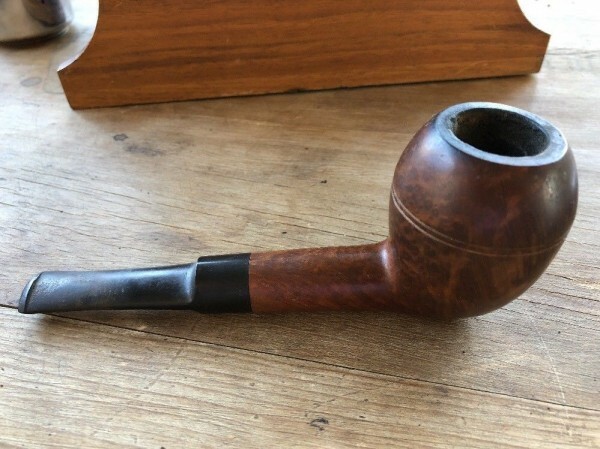 I have a Thompson (probably Thompson Cigars) house pipe stamped West Germany, nice piece of briar I outfitted with a new stem (it was a gift) but the chances of tracking the maker are remote. Sent a letter to Thompson, but the old timers who would know about the pipe are long retired or gone. I surmise; no one wrote back.